Ahead of her upcoming solo exhibition, we caught up with Sydney artist Rae Begley about her creative background and her latest body of work that studies glaciers and their decline in sacred mountain cultures. What is your creative background, and how did you discover your passion for photography? I studied Media Arts at university and majored in photography. Following my degree, I travelled then worked in other fields primarily as a Communications Director for my own PR and Marketing agency Little Hero for 10 years. Through Little Hero I worked to elevate the profiles of some of the most exciting talent mainly in the world of fashion with designers including Romance Was Born and Jenny Kee, as well as international brands including adidas and Levi’s. On the side I was always taking photographs, shooting for my own personal portfolio in various formats, 35mm, 120 roll film, digital and iPhone photography. In 2014 my practice became more public with my first show ‘Annapurna’ shown at Mild Manners Gallery. My first love has always been photography and I have been taking photographs since the mid nineties. In the nineties, it was the early days of the internet and there were no digital cameras or smart phones so photography was a manual process. My passion was fuelled by the exploration of the photography process from the selection of speed of film, the manual exposures of the camera, the developing of the film and the printing in the darkroom, through these steps, you had full control over every image and could develop a distinctive style. I loved the idea of painting with light and the film grain. I have been inspired by photographers including Ansel Adams, Richard Avedon (in particular the book In The American West), Bill Brandt, Cindy Sherman, Diane Arbus, Nan Goldin, Walker Evans, Irving Penn, Mary Ellen Mark, Alice Springs, Bill Henson, Wim Wenders, Vivian Maier, Peter Lindbergh and Steven Meisel. Your debut photographic exhibition 'ANNAPURNA' in 2014 was centred around the remarkable landscapes of Nepal. What captivated you about this region? My first visit to Nepal was in September 2014 and at this time whilst trekking I captured the works that became the ANNAPURNA show. The sheer scale of the Himalayas resonated with me. Majestic and spiritual, the sacred valleys depict a rapidly evolving landscape. The scale and power of the land is of epic proportions, initially offering a breathtaking 'otherworldly' beauty to the explorer however this is coupled with an underlying darkness which in moments felt apocalyptic. I love the contrasting nature of these elements and emotions. I feel very drawn to the Himalayas; I love the purity of the experience of visiting the mountains. My desire to return was about further exploration and discovery of the sacred landscapes of the Himalaya, walking in nature makes me feel free and at peace. 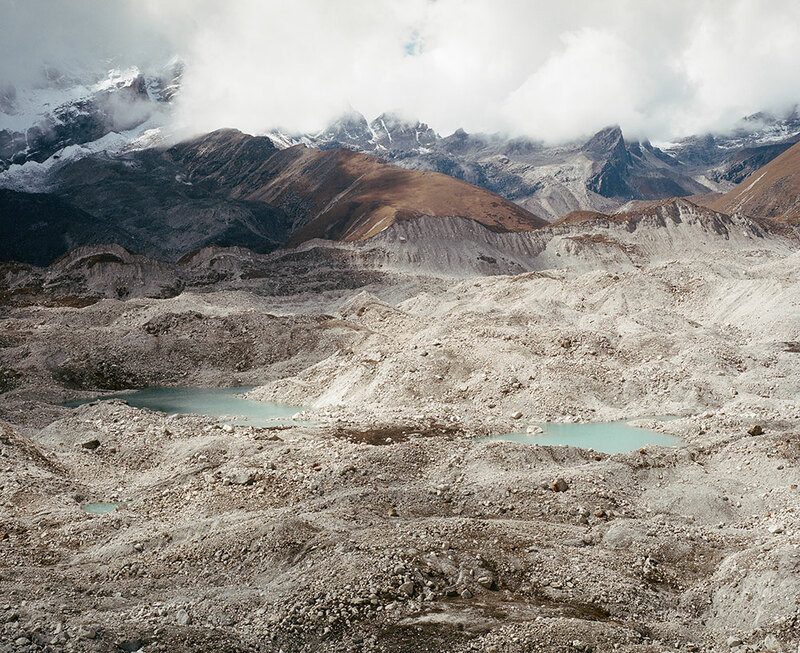 Your most recent body of work 'AND THEN NOTHING TURNED ITSELF INSIDE OUT' also features the stunning landscapes of the Himalayas, but with a key focus in exploring human interference and climate change. What was the initial catalyst for the series, and what do you want to communicate through this work? My intention is for the Ngozumpa Glacier and the Gokyo Lake’s soaring beauty to be preserved through the making of the work, to become historical documents in the timeline of climate change. Set below the sixth highest mountain in the world Cho Oyu, the Ngozumpa Glacier is the longest glacier in the Himalayas located in the Khumbu region of Nepal, the motherland of the Sherpa. Glacial melt was once slow, the movement of the ice measured in many years, often centuries. In recent decades, the Nepali Himalayas are warming significantly and the Ngozumpa Glacier is showing signs of shrinking, thinning and the ice is rapidly melting; it’s as if time is literally flowing away. The literal translation of the name Ngozumpa is ‘water source,’ in this instance the head of the river. This is symbolised in Hindu and Buddhist religions by the snake. Both reflect the importance of water as life, thus the prayer for continuing water and life. Before leaving for Nepal, I had researched sacred lakes and was instinctively drawn to visit Gokyo Lake. 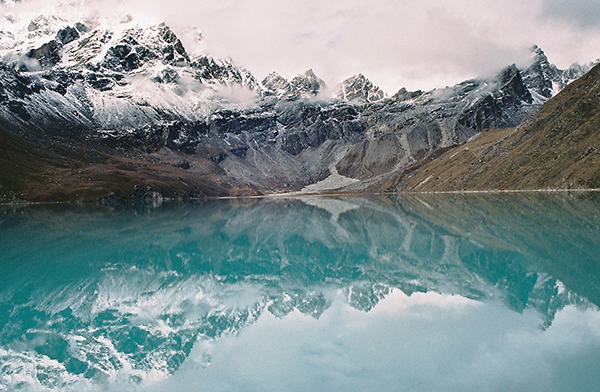 The Gokyo Lake, a glacial-fed, high altitude turquoise lake adjacent to the Ngozumpa Glacier is documented with colour photographs. The Gokyo Lake appears otherworldly, its exquisite beauty feels hyperreal yet it is most definitely real and is preserved on film in all its glory. 2. WIREs Climate Change Volume 6, Issue 5, September/October 2015, Pages 493–508, The Spiritual Significance of Glaciers in an age of Climate Change by Elizabeth A. Allison of the California Institute of Integral Studies, San Francisco. The exhibition will feature a combination of detailed prints, video, sounds and installation works. How do you feel the different mediums work together to communicate the complexity of the beauty and the present threat? I have approached the exhibition as an immersive experience, the mediums of photography, video and installation compliment each other to communicate the power of the landscapes under threat. I also wanted to communicate the sacred mountain culture of the local people and sound felt appropriate alongside the other works to achieve this; an hour long ambient soundscape in collaboration with Erik Omen was created to be looped and played for the duration of the exhibition to evoke a sense of beauty under threat. What drew you to the space at COMMUNE to install this exhibition? I love the expansive spaces at COMMUNE in Waterloo and the high ceilings, the B and C block also have a calming energy which I felt was appropriate for this body of work. I am fortunate to have COMMUNE as a presenting partner for this exhibition and looking forward to people experiencing the works in this space that allows for an immersive experience. You are donating a percentage of all sales from the exhibition to Ice Stupa Artificial Glacier to assist with their work fighting climate change and melting glaciers. How did you come across the organisation and why is their work so essential in the fight against the impacts of climate change? 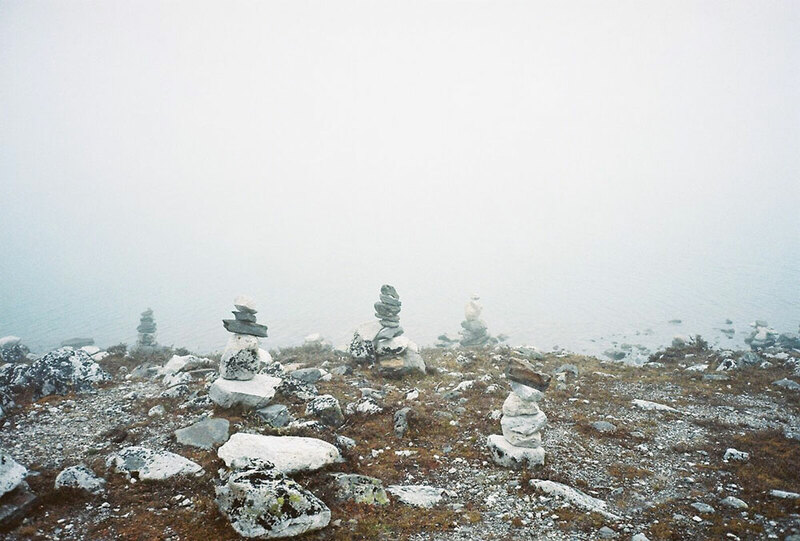 I came across the Ice Stupa Project online whilst researching climate change and glaciers. 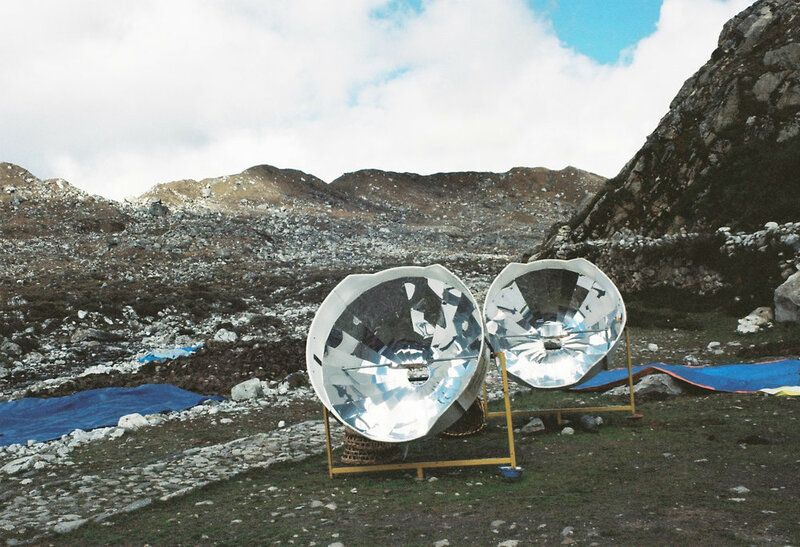 The work of the Ice Stupa Project is essential in the fight against the impacts of climate change as the artificial glaciers are specifically designed as a solution for the local people to address glacial melt in the Himalayas. COMMUNE, 901 Bourke St, Waterloo. Continues 3-5 November, 10-6pm. RSVP here.